Rail in Northern France gathers more than 10,000 employees and accounts for 40% of the national activity. 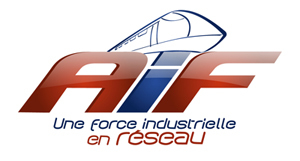 With more than 100 industrial members, the AIF (Association of Railway Industries of North Pas de Calais and Picardy), is composed of the major manufacturers, first row suppliers, subcontractors, design offices, service companies, the railway test ring and the French railway accreditation organization. The AIF goal is to promote the regional railway companies and to conceive and manage actions in order to develop them. It also takes part in the competitiveness cluster "I-Trans" and benefits from the European Railway Agency, set up in Valenciennes.